A must have at every large get-together. This is my daughter’s favorite dip, which she has nicknamed “the stuff”. It’s easy to prepare and always disappears in minutes. 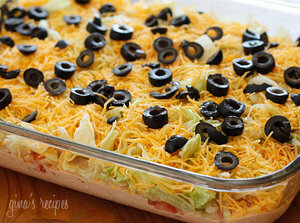 Serve this low fat dip at your next party with your favorite baked tortilla chips. Also great with jalapeños, scallions or avocados.